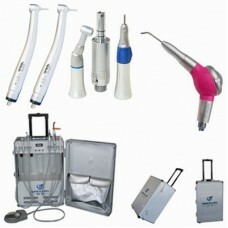 An x-ray machine is commonly used piece of dental equipment in a dental office. The purpose of these machines is to see things that are not visible by visual examination of the mouth alone. Dentists can use the images produced to see the teeth as well as the bones and soft tissues around them. If a digital radiograph is not available, there are three different types of dental x ray machine portable that are used. Extraoral imaging takes pictures from outside the mouth, intraoral imaging involves taking pictures from within the oral structure, and panoramic x rays involve a machine that takes pictures around the entire head. These machines are used for different purposes. One type of portable dental x ray is small, light, cordless and hand-held and can travel almost anywhere considering its compact size. 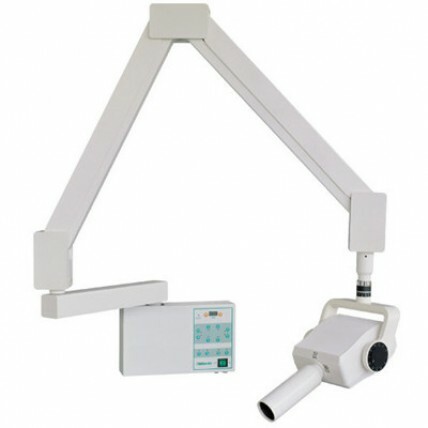 This type of machine is an option for almost every patient, however, it's especially useful for occasionally restless patients, such as young children, who require constant supervision and a quick x ray. It can also be a better option to use in small spaces. The device works on battery so it's important to have extras on hand in addition to a fully charged battery upon arrival regardless of where the patients are. The other type of portable dental x ray is one that uses a power cord and is slightly larger and heavier than the hand-held device; it's also typically more durable. Each comes with a stand, which some dentists might find to be more comfortable and easier to use than a hand-held device. Some may also be able to operate as a hand-held device when using a stand isn't necessary. This type is a good option for dentists who prefer to have the features of each type. The portable dental x ray is not only useful to patients, but also to dentists who want to be able to help patients who don't have immediate access to a dental office. Without the device, there is no doubt that quite a few individuals would go without knowing the cause of their tooth pain. Though it doesn't mean they'll seek immediate dental care, it at least increases the chances depending on the results of the x rays.